Rancho del Lago Vail AZ is nestled peacefully at the foot of the Rincon Mountains. Rancho del Lago offers a lifestyle unlike any other. 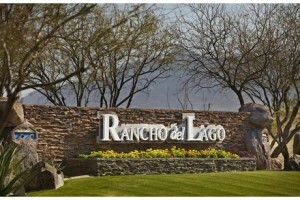 Rancho del Lago Vail AZ is a community in the Southeast area of Tucson. Vail was named after ranchers Edward and Walter Vail. Vail was Christened as a town in 1893, but has no legal boundary. It is part of unincorporated Pima County. Because of the proximity with Tucson, Vail may well become a suburb within the city limits of Tucson in the future. The current population is over 20,000 people, but it is projected this will increase to 275,000 people over the next 20 years. Del Lago golf club is a daily fee course in Vail AZ It provides an outstanding challenge for golfers. A new clubhouse, pro shop and restaurant provide a great experience. Colossal Cave Mountain Park was inhabited over a thousand years ago. Around 900 A.D. the Hohokam Indians formed a thriving community, farming in the valley below Colossal Cave and using the Cave itself for shelter, storage, and as a shrine. Looking for Real Estate Tucson AZ for sale in Vail? We can help! Questions about the Tucson AZ Real Estate or Rancho Del Lago Vail AZ Homes for Sale? Call Us 866 316 5575 OR complete the CONTACT FORM and we will get right back to you!